Every once in a while, it’s a good idea to rest and recharge. Taking a vacation or traveling for reunions, family gatherings, and weddings can be a pleasurable experience, but many people don’t have room in the budget to travel frequently. “Hacking” travel is a concept which has grown in popularity among many people. The term hacking relates to getting the best deal, finding a way to get around the built-in systems around us, and finding a way to get the maximum enjoyment out of your goals. While many people make plans for traveling and set aside money in a savings account to travel, sometimes, it’s not always possible. Emergencies often come up and it’s more practical to use credit cards. However, you can also take advantage of various benefits credit cards offer to reduce your costs while traveling. 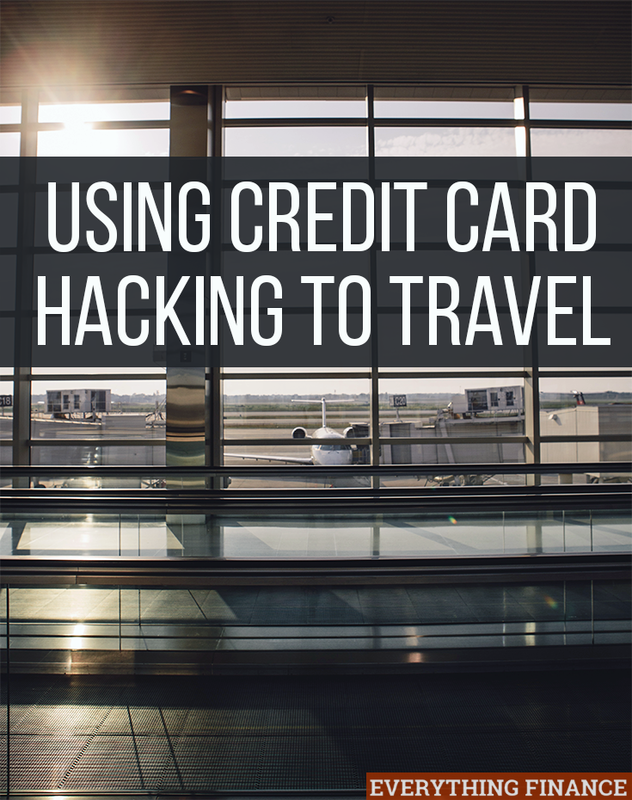 Take a look at the tips below to hack your credit card for traveling. Please note: we’re all for responsible credit card usage. If you’re in credit card debt, have poor credit, or are going to be making a large purchase soon, we advise you to look for other alternatives to credit card hacking. You shouldn’t open another credit card unless you’re a responsible user of credit and can pay off your bill in full every month. Why Use Credit Cards for Hacking Travel? Many people plan their vacations on a budget and use a set amount of money just for their trip. However, opening and using credit cards specific to travel can be a good way to take advantage of promotions and earn rewards towards discounted or free travel and lodging during your trip. While you might worry that having multiple credit lines open could be problematic, opening just a couple of cards a year to take advantage of deals to use the various promotions available isn’t going to kill your credit. If you do plan to use credit cards for travel, keep in mind you’ll have to track the various payments for them. Also make note of any annual fees they have (canceling before you get hit with that fee is usually recommended). Using credit cards to travel hack isn’t for everyone, but if you’re on board with keeping your cards, payments, and deals organized, it can be a good way to save money on your travel. Racking up miles for airline travel is one of the more popular features people look for in credit card rewards. Do you travel a lot for work? If you’re an entrepreneur, having a credit card with travel rewards will help you earn miles for future flights and also keep track of business expenses for your taxes. If you don’t travel a lot, there are many credit cards that offer points programs where you can redeem points based on your purchases. For example, some cards offer a cash back percentage for gas purchases, entertainment purchases, or dining purchases. Rather than cash in your points for other purchases, you can use that money towards travel expenses. When traveling, most people pay for both airfare and hotel for their trip. However, loyalty cards provided by hotel chains often offer some of the best deals for hotel rates. For example, Hyatt’s credit card gives you 2 free nights after spending $1,000 in the first 3 months, according to Value Penguin. Depending on how much you travel or how many people are in your group when booking hotels, you could easily spend that much in a short amount of time and take advantage of free nights at the hotel. While it’s always a good idea to use whatever discounts you can, if you have a hotel chain you like and travel to frequently, having a credit card specifically from that chain can add up to a lot of savings. The best way to get a good deal is to plan, and knowing about special promotions is a great way to improve your chances of finding the best deals. It’s a good idea to keep up to date with your rewards programs and ask questions if you’re unsure. Most credit card companies have customer service numbers and pages on their websites which explain the points and various terms and conditions you need to know to keep track of your rewards. Additionally, you can opt-in to receive email updates about new promotions as they occur. Many people see the old points system as the slow buildup for earning rewards for travel. There are quicker ways to earn points and get closer to your overall goal of using your credit to hack travel. If you’re planning on traveling within the next few months, you’ll want to sign up for the credit cards that offer great sign up bonuses. Most travel rewards cards give you 30,000 – 50,000 bonus points for spending a certain amount of money in a certain amount of time. For example, you might have to spend $3,000 in 3 months to get 45,000 bonus points, but it’s well worth it to get a free flight. Timing this with large purchases works well. Just make sure you can pay off your credit card in full at the end of the month. You’ll receive a huge influx of points and will earn yourself a free flight and possibly other bonuses as a result of your planning and strategy! As discussed previously, many people may be concerned about opening credit cards for the sake of travel. If you’re the type of person who’s trying to aggressively pay off debt, this method of paying for travel isn’t for you. However, if you do want to use this method, understanding how your credit is affected is important. Brian Kelly from thepointsguy.com teaches people to hack credit cards. He says while FICO recognizes that you may present a greater credit risk, the impact to your credit is negligible. For example, new credit counts for only 10% of your overall FICO score. If your payment history, the amounts owed, and your debt to income ratio are strong, opening new credit lines will not make a large impact. If travel is important to you, using credit cards to get the best deals you might otherwise never have known about is a good way to utilize your credit and plan trips on the cheap. You’ll be glad you took the time to find the best deals and can enjoy your trip worry-free thanks to all of the points and promotions you’re using to have an enjoyable vacation! Have you ever travel hacked before? Are you a fan of credit card rewards? I travel abroad more often and normally enjoy my credit card rewards. It feels great that I get to enjoy more because I know for fact that I spent less on each travel.